I had my first contact with the Iraqis in the 1960s when I was in my sixth grade. Later on I was taught by more Iraqis. They were known to be the best science and mathematics teachers. When we moved to higher grades we studied Iraq in our geography classes. It was very easy for even a young boy to feel and sense the riches of the Republic of Iraq. Studying the history of Iraq was the most enjoyable thing for me. Iraq was many history lessons in one. Iraq was the cradle of civilization. It is the only country in the world that has 1,000 archeological sites. Can anyone imagine how much wealth these sites would have brought Iraq if it weren’t a closed police state? It was the home to many civilizations, Sumerian, Akkadian Empire, Ur, Assyrian, Babylonian, Abbasid and many others. It was the melting pot of all other civilizations. Studying Iraq and Iraqi history was fun, even in a classroom. Baghdad, which is the capital of Iraq, was the candle that lighted the path for other civilizations. Many scholars from different faiths and religions came to Baghdad to learn sciences and there were many languages spoken at that time. The modern day Republic of Iraq is a country that covers an area the size of the American state of California. It covers an area of about 170,000 square miles with a population of around 30 million people. Iraq is the richest country in the Middle East in terms of having raw materials and educated people. Iraq is a beautiful country. But, I think it is the unluckiest country in the world. It is rich with natural resources such as oil, gas, water, fertile land, archeological sites and has the most complicated natural habitat near the Shatt Al-Arab. The sad thing is that Iraq didn’t benefit from the resources it has. So, if Iraq has all these resources, then why can’t the Iraqis put their hands together and build the country instead of destroying it. I don’t think there is a country like Iraq that wasted so many human lives and resources. Iraq should have been the richest country in the world. It is a country with two rivers running through it. You can see people enjoying the sun in the south while others skiing in the north. But still, Iraqis did not only lose their resources, they also lost something more precious than that. They lost millions of people due to unnecessary wars and internal conflicts. Iraq had always been a fractured country. The irony of this is that they were more united when they were under the British rule in the 1930s. Iraq was known as the Kingdom of Iraq until 1958. And on July 14, 1958, a coup overthrew the royal family and many people were killed including all members of the royal family. After the coup, Abdulkarim Qassim took up the reins, but he was also overthrown five years later. 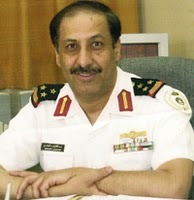 After Qassim Iraq was ruled by Abdulsalam Aarif and later on by his brother Abdulrahman Aarif. Things in Iraq became worse when Ahmad Hassan Albaker was replaced by the most feared dictator in modern history: Saddam Hussien. Iraq is one of three countries which never had peaceful political transitions. The other two are Pakistan and Yemen. During the rule of Saddam Hussien, he exterminated many of his closest political allies, waged a war against Iran, invaded Kuwait, used chemical weapons against the Kurdish people and finally massacred his own people in the south. Saddam even killed many of his relatives. In 2003, Iraq was invaded by the United States of America and Saddam was captured and later on hanged. Now, the Americans had left, so why Iraq is still fractured and divided? The irony of the American invasion is that, for the first time Iraq had an election. Irrespective of what people think of the American invasion, many historians and analysts think that had the Iraqis accepted their fate for one year, the Americans would have built the country’s infrastructure and rebuilt what they destroyed during their invasion before leaving the country. The Iraqis never gave the Americans a chance to do what they normally do after they invade a country, they rebuild it. Just look at Japan and Germany. Few days ago, Iraq started its own “Arab Spring.” The Iraqis are turning against their own leaders. And in Iraq, a revolt of any kind will turn into a bloodbath. The Iraqi leadership had many chances to bring Iraq back to the international arena, but they got too close to the Iranians and gave the Iranians a chance to implement its politics in Baghdad. The Iraqi leadership ignored development of Iraq and Prime Minister Nouri Al-Maliki didn’t know the meaning of democracy. Now, we see the Iraqis protesting in Ramadi, Mosul and Samarra and the Iraqi prime minister needs to change his method in ruling the country. The “Iraqi Spring” will not be peaceful and the country will see more assets, resources and innocent lives being lost. It is sad to see the many thousands of Iraqis leaving Iraq to the east and west because of the instability in the country. In the past, Iraq used to be one of the success stories as a homogenized country and people were living in complete harmony. In the past, Iraq was the best place to live in the Middle East. In their universities, you will be seeing students and instructors from all faiths, Sunnis, Shiites, Christians, Jews, Ashorians and Kurds. An “Iraqi Spring” will easily divide the country. The Iraqis should think about their destiny and look at the many common things among themselves. And it is unfortunate thing to see the daily car bombs claiming lives of innocent women and children and there is no end in sight. I think Iraq will continue to be a fractured country for a long time. Iraqi Prime Minister Nouri Al-Maliki who rules the most corrupt country shouldn’t ignore the demands of the people. Iran will not be there if he falls. Written by Abdulateef Al‐Mulhim. Republic of Iraq - Rich and Fractured reprinted with permission of Arab News and Abdulateef Al‐Mulhim.